The Tacoma Highland Games were held for the first time in 1970. Friday night features a Celtic Concert at the park and Saturday is when the main event begins, including piping and drumming,heavy athletics, celtic music entertainment, highland dance competitions, whiskey & mead tasting events, children's activities, harpers circle, youth athletic events, pipe band competitions, massed bands, and a ceilidh. Mt Hood Community College, 26000 SE StarkSt. 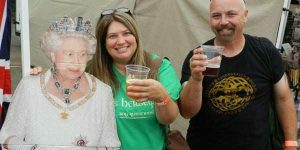 Portland Highland games features world-class pipe bands, celtic entertainment, top competition in Scottish heavy athletics, highland dancing, a kilted mile, as well as fiddle, piping and drumming competitions. Are usual spot is down on the main field, by the track - close to the highland dance competition. Stop by and say hi! 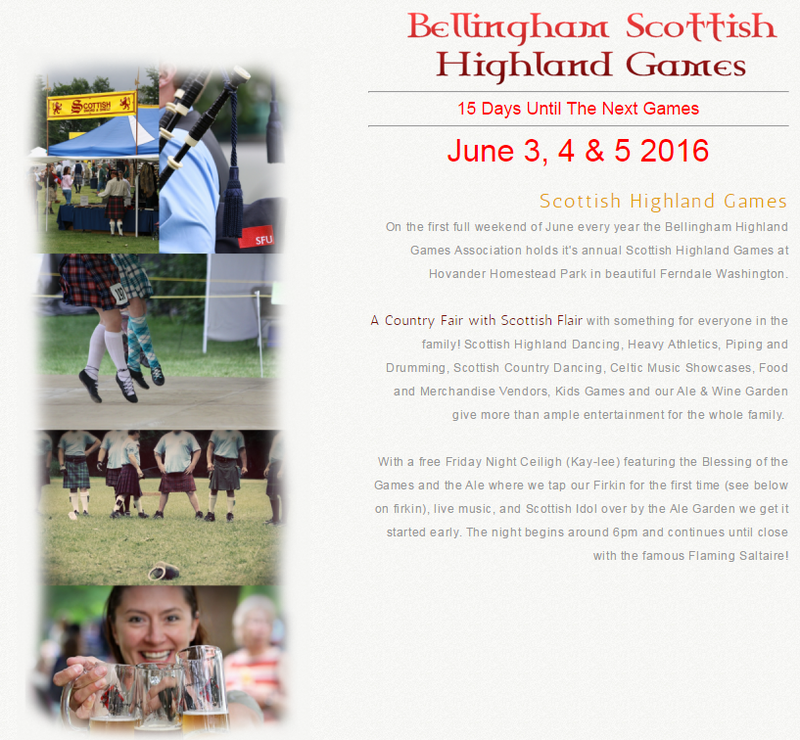 Scotland comes to the Pacific Northwest July 30 & 31 at the Expo Center in Enumclaw, Washington. 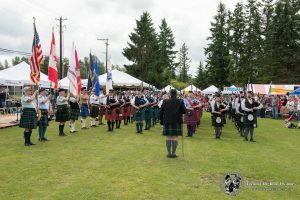 An awesome Scottish festival featuring colorful pipe bands, Highland dancers and Scottish athletes competing before judges of worldwide renown. Scottish foods and drink, Scottish breed animals, clan tents and vendors selling lovely goods imported from the British Isles, and Celtic performers are also a part of this traditional gathering. Join us for a fun and educational weekend trip to the Highlands!